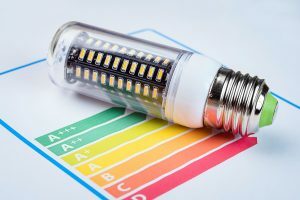 Government plans for energy efficiency legislation could have a big impact on the private rented sector next year, as up to 10% of rental properties could become unrentable. On April 1 2018 it will become illegal to rent out a property with a poor energy efficiency rating. At present, properties are rated from A-G, depending on their efficiency. The new laws will mean that a minimum of an E rating is needed for a property to be rentable. This is all very well, but around 8% of properties on the rental market now don’t meet this minimum standard and with the current lack of rental stock, this could be very bad news indeed. Research conducted by the Royal Institution of Chartered Surveyors (RICS) found that the number of households in rented accommodation doubled from 2.3 million (2001) to 5.4 million (2014). This number is set to rise to more than 7 million by 2025, but the supply isn’t there to meet it. Landlords are already under pressure; the 3% stamp duty surcharge, along with restrictions on buy-to-let lending, are making renting less profitable by the year. While everyone recognises the need for properties in the PRS to be of a very high quality and to score highly on energy efficiency, there is a danger that some homes could fall through the net when these changes come into play. Of course, the drive to make rental properties more energy-efficient is commendable, but if some properties have to be removed from the market as a result of legislation, this could be catastrophic. Industry experts are calling for help from central government so that landlords can bring their properties up to at least the minimum standard. This help is needed more than ever, as the government’s Green Deal, which helped people to make energy improvements to their properties, was scrapped back in 2015. This additional pressure on landlords may see some of them leaving the game altogether at a time when they are really needed. It may be only a small number; but can we, as an increasingly mobile society, afford this loss? Copyright for the image within this blog post is owned by ‘pproman’, and has been licenced for use on this blog post through Big Stock Photo (stock photo ID: 145583048). For questions relating to this image please contact the copyright owner directly.